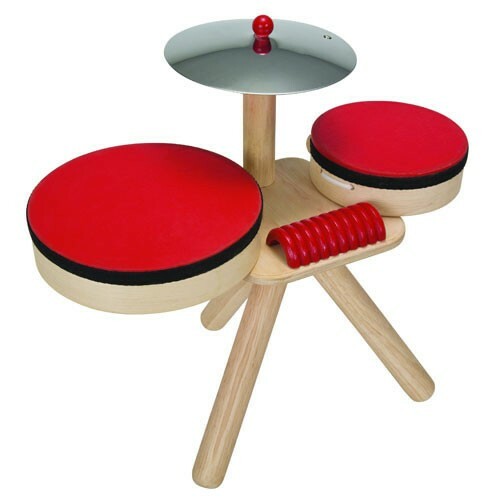 Plan Toys Musical band is like a drum kit for young children! So much fun! Two big drums of different sizes make a great sound when you give them a good o' whack with the drum sticks. There's a cymbal and a guiro too so you can get a funky little beat going. A fantastic way for little ones to have fun, get creative and express themselves. Mums and Dads are often caught playing with this one too, remember it's meant to be for the children.